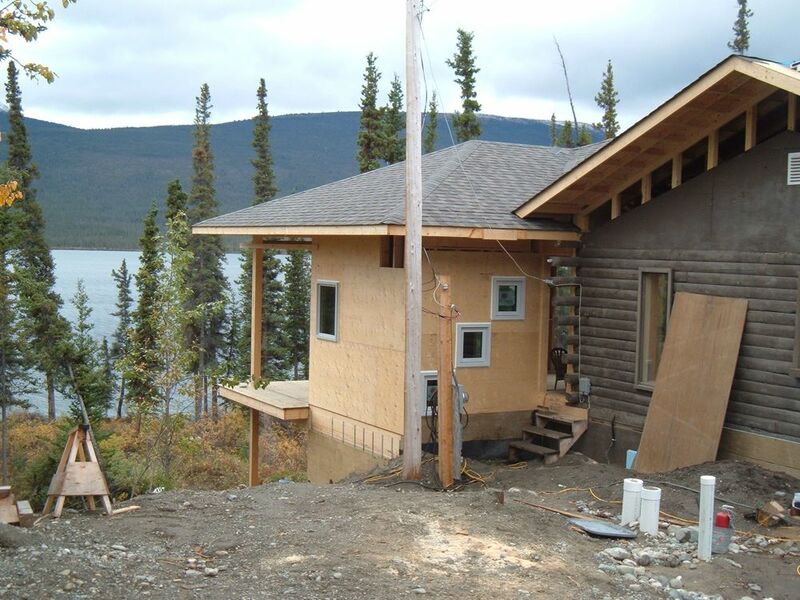 The story of bringing two houses back to life - one in the Yukon, the other on Maui. Inlaid marble in concrete counters. Floating shelves on backsplash. The only non-north American wood in house. Stacked and fused glass insert in concrete. Interior door of arctic entrance. I love the refection of the lake from behind, being in front. Arctic entrance, with drying shelves for mittens.